This session will provide attendees with an in-depth understanding of key legal agreements that are needed when engaging in cross-sector and cross-jurisdictional data sharing. We will discuss data sharing agreements, memorandum of understanding, HIPAA business associate agreements and qualified service organization agreements. The goal of this session is to help you understand what each agreement covers, how each agreement should be structured and which agreements are necessary to meet your data sharing objectives. This workshop will provide attendees with an understanding of why the hybrid entity policy option may be beneficial, as well as what tools are needed to become a hybrid entity. This workshop is directed to fully HIPAA covered entities that are interested in exploring hybridizing, as well as hybrid entities that have not recently re-assessed their coverage status. Participants who register by August 1 will receive an invitation to submit a use case for small group discussion with hands-on application of tools from the Network’s new HIPAA hybrid entity toolkit. Panel with three data sharing collaboratives that will illustrate the legal issues they have faced, identify and explain applicable law, discuss how legal issues were resolved and identify lessons learned and best practices. Concurrent sessions based on legal parameters of collecting or sharing different types of data. These sessions will be repeated in the afternoon to allow participants to attend more than one of each. Concurrent sessions based on legal parameters of collecting or sharing different types of data. When public health shares information with communities, it balances assuring the public good with the risk to individual privacy. 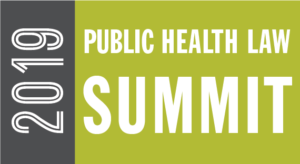 This session examines how public health utilizes mapping technologies to monitor health status to identify and solve community health problems; diagnose and investigate health problems and health hazards in the community; inform, educate, and empower people about health issues, creating a space for public action; and, assist public health agencies in fulfilling the 10 Essential Public Health Services. Geographic information systems use geographic data, such as streets, blocks or neighborhood areas and attribute data, such as social determinants of health, and link the two in a map. Attendees learn about implementing privacy controls for useful and locally relevant map design.